Orlando FL. 11-10-10 – It is announced today there will be a special open practice for the December 10th & 11th Charity Truckers 200 on Satuday November 20th from 10 a.m. to 2 p.m.
Rick Bristol has scheduled an open practice at Orlando Speedworld for Saturday November 20th, the gates will open at 9 a.m. practice will be from 10 a.m. – 2 p.m. The practice is open to all divisions running in the Charity Truckers 200 weekend. November 13th will be a lucky evening for Veterans and Active Military personnel as Auburndale Speedway will let all of them in absolutely free this week in honor of Veterans Day to enjoy a big eight division racing program. 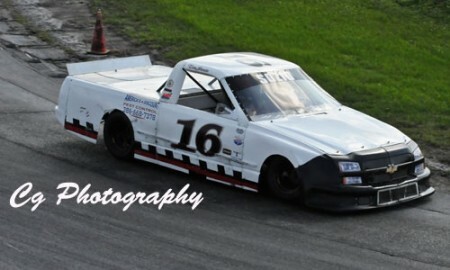 The Auburndale Trucks make their final run of the season and will be joined by the Sportsman cars for their final race of 2010. Also on the card are the Legend Cars, Street Stocks, V-8 Bombers, Mini Stocks, Bandoleros and the Kids Club. It’s the Hoosier Elite Super Late Model Series 75 lapper season finale with a host of your favorite drivers plus Q Auto & Injury Attorney’s Pure Stocks, Junior’s Trim Shop Bombers, Sturdy Built Trailers Flyin 4’s, Magic 4’s, Street Stocks and Trophy Dash Cars. Oh and don’t forget to bring your friends…see you at the races! C.A.R.S. Racing for a Cause Inc.
Orlando FL 11-9-10 – Event promoter Rick Bristol announced today that some more great partners have joined the sponsor list of the 5th Annual Charity Truckers 200. Three of the six announced today are first time sponsors of the event, others are returning. Ocala Speedway has the Top Gun Sprint Car Series for the final time in 2010. The Mini Stocks and Amsoil V-8 Thunderstocks run their final points paying events and the Gladiators also run on this great upcoming night. Another great night of racing is in the books at Ocala Speedway. The Tee Pee Tire Hobby Stocks were running for $1000 and no points, no previous winners were running in the Gladiators, the Amsoil V-8 Thunderstocks were running for more points, and the Colortyme Open-Wheel Modifieds wrapped up their season.